This article demonstrates how to create an OData V4 Web API service which uses Entity Framework 6 and SQL 2014 for persistence. 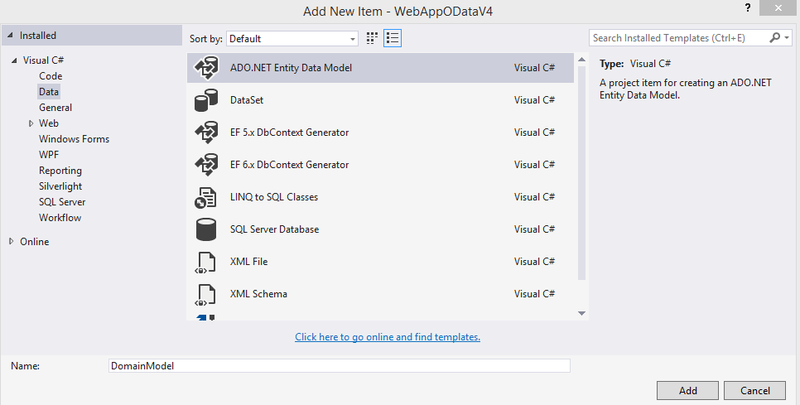 OData V4 was released with Web API 2.2. The OData V4 standard is documented here: http://www.odata.org/documentation/. The Web API implementation does supports a lot of features from the standard, but not all. 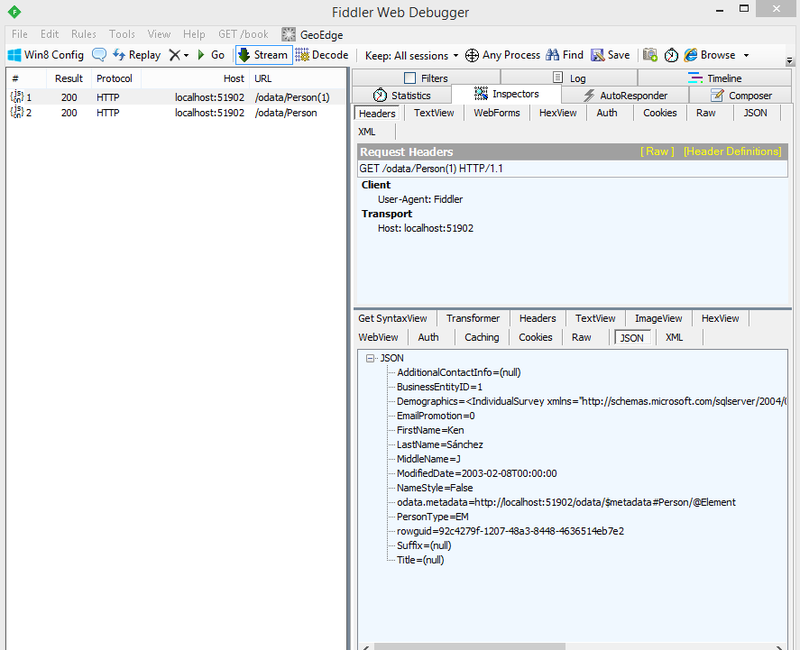 For this example, an IIS hosted web application is used. Create a new MVC project with Web API. Once the project has been created, open the NuGet packages and update all packages in the project. Then attach this file to your Microsoft SQL server 2014. (Microsoft SQL Server 2012 could also be used.) 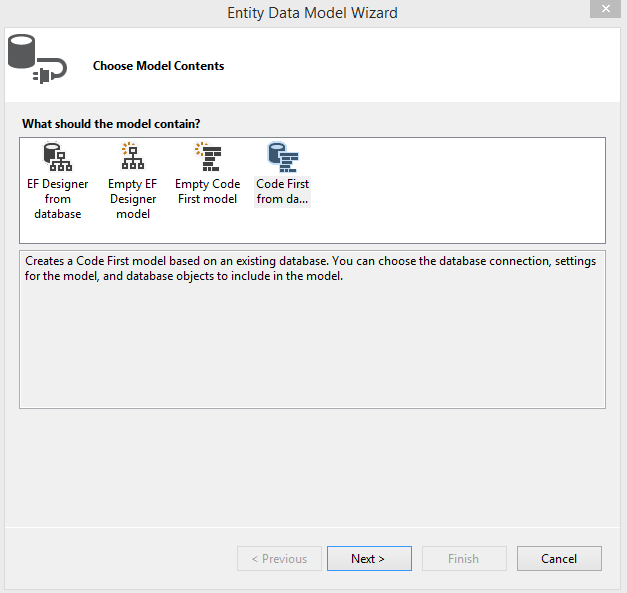 Once the database is attached and running, you can create an entity model from the database. Add and test your connection string. Now choose Code First from Database (The database already exists). Select all the tables from the Person schema. Now all entities from the Person schema will be added to the DomainModel. Now create a PersonController which inherits from the ODataController class. 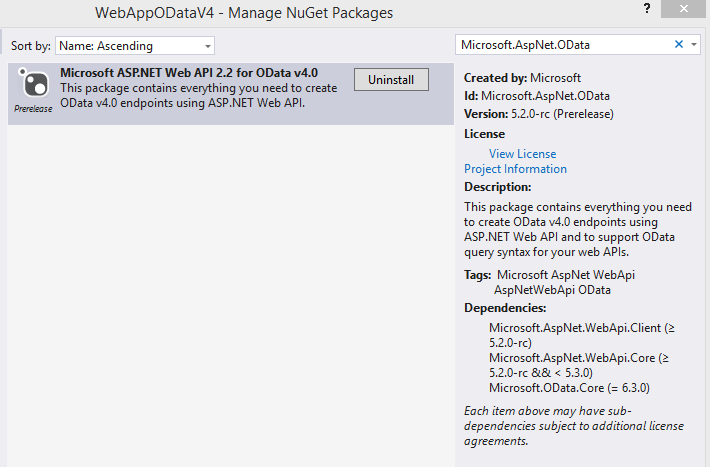 Add the OData model and route configuration to the Web API config. All entities from the person schema are added. These will be used in later posts. Only the Person Entity is required for the PersonController. The OData configuration has been removed to its own method. The MapODataServiceRoute method is now used in OData V4. This is different to OData V3. Now the OData service can be used. Should your controller inherit from EntitySetController, ODataController or ApiController? 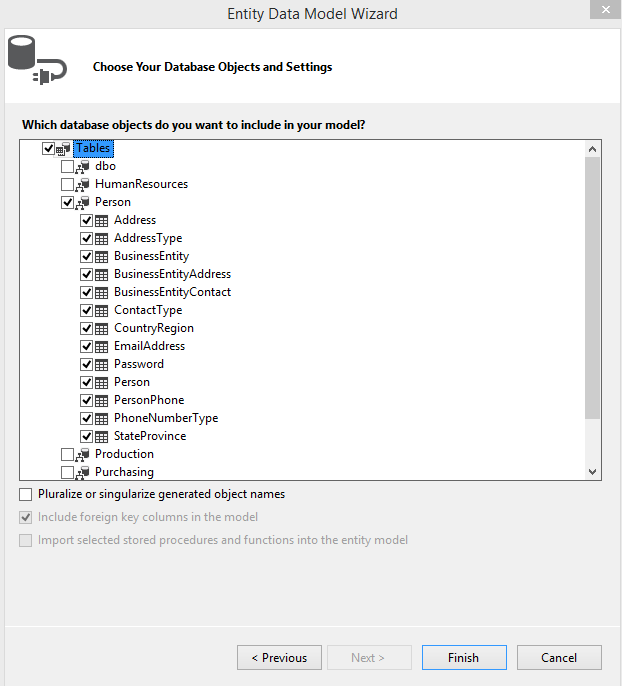 It is recommended that you use the ODataController for OData requests. You have more control. Now that the OData V4 service is up and running, in the following posts, we want to explore some of the new features and also features which existed in V3 as well. The SAMPLES link is a great resource for Web API 2.2 and ODATA V4. The new OData V4 libraries are in the assembly: System.Web.OData. System.Web.Http.OData are the V3 libraries. A very, very useful technical blog – thanks a lot! One thing that I absolutely NOT understand is the way how “ODataRoutingAttribute” is working. How do you use it in comparison to the “normal” RoutingAttribute in ApiControllers? Are these “ODataRoute” Attributes only valid in combination with actions and functions? This is not working for me. If I call the metadata I get the error that the path template for ‘companies/routeone’ is not a valid OData path template. I think I am understanding something completely wrong! BTW: there are suddenly lots of “&amp;amp;…” in your source code examples. When I took a first look a few days ago I swear that these were not there. Thanks, I have fixed all the code examples… The OData Model requires a function or an action called routeone or routetwo on the EntityType Collection companies. Then the routes will work. You need to add these to the OData Model. Ah, ok, now I understand this route-stuff. In my opinion not a very intuitive way of declaring routes by doing it twice in two different locations. This is platinum, thanks a lot man. When I walk through the above steps, the $metadata enpoint works as expected, but when I try the odata//Product endpoint I get a 404 not found. And when I try api/Product I get a 406 Not Acceptable response. What have I missed? Turns out I had some lingering references to System.Web.Http.OData. Replaced them all with System.Web.OData and the 406 errors went away. I have equal situation but dont having reference to System.Web.Http.OData. fabulous tutorial thank you. I was wondering where exactly is the Controller called by the service? The reason I ask is that my controller is StewController but odata/STEW(1) is what works, for example. 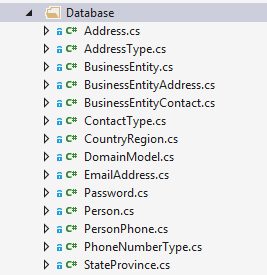 when i want to add a new table of AdventureWorks2012 into DataBase folder, is it the only way to delete all the classes in the DataBase folder in your demo project and then add a new entity data model? for example ,the article above you select all the tables from the Person schema, but if I want to select all tables from person schema and production schema, i can only delete all classes in Database folder and then regenerate a new edm?